We strive to provide our students with the highest quality Montessori primary education delivered within the framework of the New Zealand National Curriculum and the International Baccalaureate Programme, which is offered by Glendowie School. Our Montessori classes have been fully integrated into Glendowie School since 1996, providing our students with the opportunity to participate in school-wide cultural, sporting and arts programmes. Students utilise all school facilities which include a swimming pool, playgrounds, hall, extensive library, IT suite and art room. Our Montessori teachers encourage self-directed learning through the use of specialised, interactive materials. Children learn at their own pace and interact in multi-age classrooms over periods of three years (ages 6-9 and 9-12), enabling teachers to identify and understand each child’s unique learning style. Our classrooms are beautifully presented and are well equipped with quality Montessori materials. They overlook the school fields and the picturesque Tamaki Estuary. We are run by a parent led Charitable Trust. 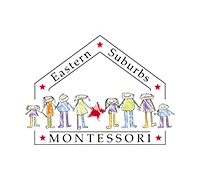 Our main point of difference is that the trust owns the Montessori classrooms. Parents have the opportunity to attend informative education evenings, join the PTA and support occasional school fundraising activities. In addition we encourage participation in our school ‘outings’ and annual cultural fair day. As we are integrated into Glendowie School we foster the school-wide policy of “I care” as well as the values and principles of the Montessori philosophy to instill a lifelong love of learning. A child’s name may be placed on the wait list at any time and we strongly encourage early registration of your interest, however, children must complete their 3-6 year cycle at a Montessori preschool. Parents are then invited to attend a class observation. Applications are sent to parents of children on our waitlist in February. Applications need to be completed and returned by 20th March. A non-refundable application contribution of $100.00 is payable at the time of application. offered. Unsuccessful applicants are advised to stay on our waitlist and continue with their Montessori preschool 3-6 year cycle as positions may become available closer to your child’s start date. Please contact our school office on +64 (9) 575 7434 or info@montessoriprimary.school.nz for information and up-to- date contribution amounts.